One of the key things we gleaned from this announcement was the fact the fingerprint sensor will actually work on the US version, that’s a huge plus. $349.99USD, $449.99USD and $249.99USD, respectively. The company also released some talking points touting the new Xperia phones, especially their cameras. Xperia XA2 and XA2 Ultra elevate every photo and video taken with their 23 MP main camera which includes 4K video recording and 120fps slow-motion video capture. Considered the perfect selfie phone, Xperia XA2 Ultra features dual front cameras and sports a 16MP camera with Optical Image Stabilization (OIS) and display flash for blur-free night-time selfies, as well as an all-new secondary 8MP front camera with super-wide-angle lens. Users will have no problem fitting the entire group in one shot on Xperia XA2 Ultra. With Xperia XA2 and Xperia XA2 Ultra, users can take their mobile viewing experience to extraordinary levels using the smartphones’ Full HD 1080p edge-to-edge displays. Users can expect HD content anywhere on the 5.2” display of the Xperia XA2 or on the 6.0” display of the Xperia XA2 Ultra. Xperia XA2 is also backed by a 3,300 mAh battery while Xperia XA2 Ultra comes with a 3,580 mAh battery which combines with Sony Smart Stamina and Battery Care technologies to give you all-day battery life and prolongs the life of the smartphones. Sony has always made some nice hardware and this line looks to be a nice batch as well. I’m sure some users may not like the larger bezels that Sony has chosen to continue to use but there are Xperia users who do like the phone design. One of the key things we gleaned from this announcement was the fact the fingerprint sensor will actually work on the US version, that’s a huge plus. 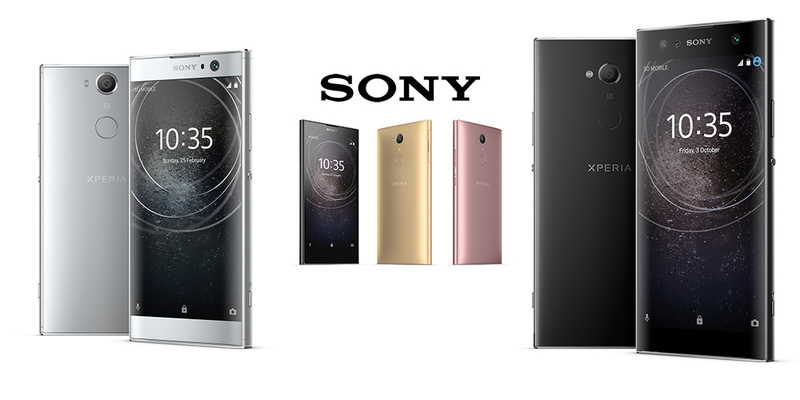 What do you think of the pricing of the latest phones from Sony? Let us know in the comments below or on Google+, Twitter, or Facebook.